Sometimes things happen down here that just make me chuckle. For example, last week I stayed in a hotel with one of our mission trip teams. I went up to the front desk and asked for a 4:45 wake-up call the next morning. 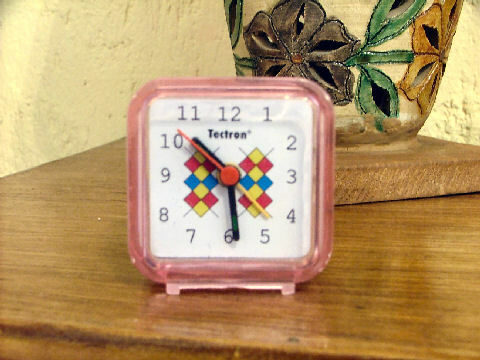 The guy disappears behind the counter for a minute, reappears with a pink alarm clock, pops a battery into it, and hands it to me. A few minutes later, one of our other staff members walked in and asked for a wake-up call. This entry was posted in Mexico and tagged alarm clock, hotel, Mexico, wake-up call on March 30, 2008 by Chris. Now that’s a mean burger! There are about 10 or 12 members of Club 5, including me. To become a member of Club 5, you have to eat five burgers in one hour. Two girls tied last summer for the new girls’ record–5 burgers. I’ve never seen anything like it! 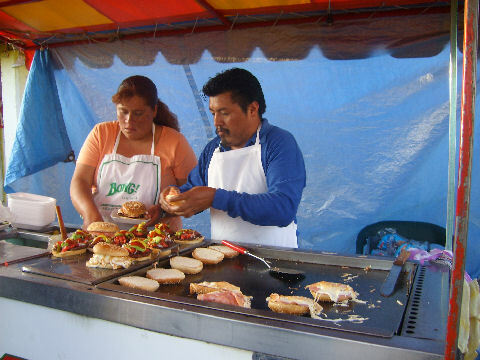 So if you ever come visit us down here in Mexico, be sure to have us take you out to Burger Boy! 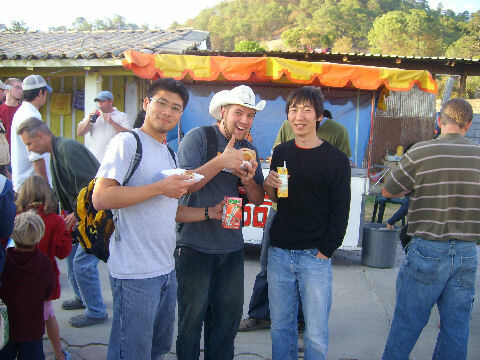 This entry was posted in Mexico, Photos and tagged burger boy, Mexico, mission trip on March 21, 2008 by Chris. I figured I’d better address this one, since that term my show up in my blog from time to time. I imagine that most people are familiar with the term, though some may not be. ‘Gringo’ is a term used in Mexican Spanish to refer to a white North American. The origin of the term is the subject of much debate. If you’re interested, check out the Wikipedia entry on it. Where we are, the most common (though probably incorrect) explanation we get from Mexicans of the origin of the word is that it came out of the Mexican-American War. The story goes that the American soldiers were wearing green uniforms. The Mexicans would overhear the American commanders yelling, “Green, go! Green, go!”, hence the term ‘gringo’. In Oaxaca, only a few people call us gringos. Many people are afraid that we think the term is offensive (and apparently some Americans are offended by it, though I’m not sure why), so we often get a chuckle or a surprised response when we use ‘gringos’ to refer to ourselves. The term most commonly used to refer to white people around here is ‘güero’, (which is pronounced more or less WHERE-oh). This entry was posted in Mexico on October 17, 2007 by Chris.